Thanks for visiting Call Me PMc. Please sign up and stay in touch via Facebook, Twitter, or Google+. 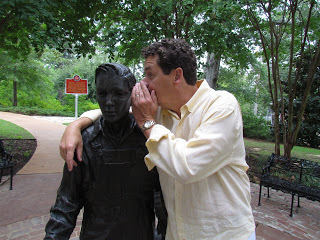 Having lived near Tupelo, MS my entire life, I have been by Elvis Presley’s Birthplace hundreds of times. Every time, I think, ‘He lived the American dream’. He was born in a very modest two room house that his father built and rose to super stardom. I think everyone would agree he changed music forever. 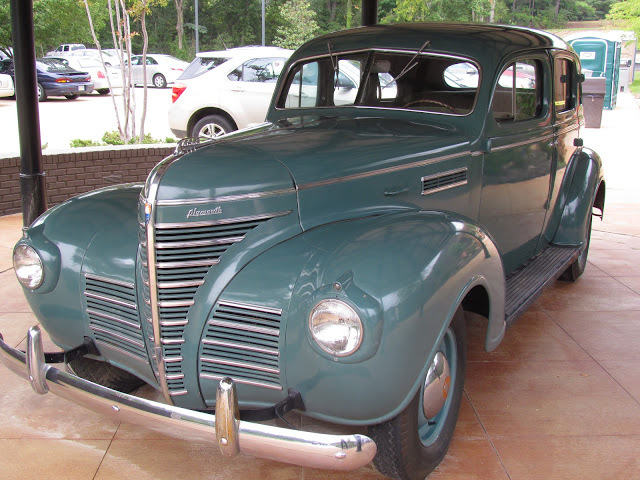 If you find yourself traveling between Birmingham, AL and Memphis, TN make a point to stop in Tupelo, MS. Visit the birthplace and Tupelo Hardware where Elvis purchased his first quitar. You’ll be glad you did. 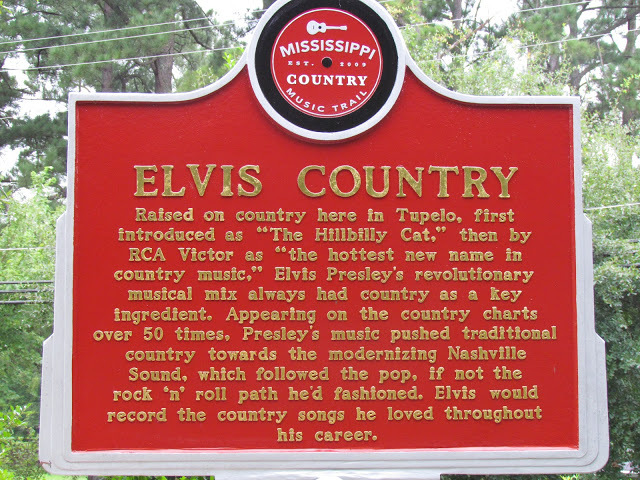 Elvis Presley was born in Tupelo, MS on January 8, 1935. He lived in this modest, two room house that his father, Vernon, built. 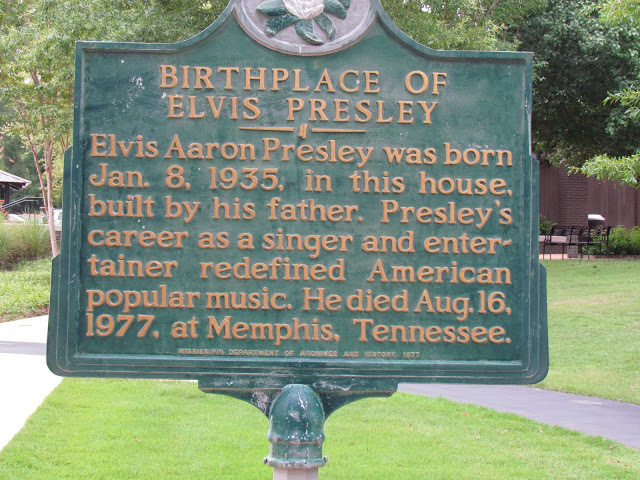 He lived in Tupelo the first 13 years of his life. This is the house that Elvis lived in. A very simple two room ‘Shot Gun’ house. 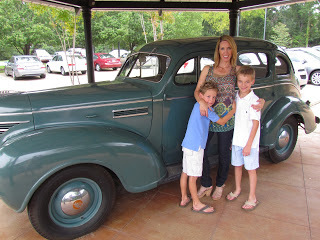 This is me with Lincoln and Ryder modeling. Please notice, Ryder loves making funny faces for the camera! 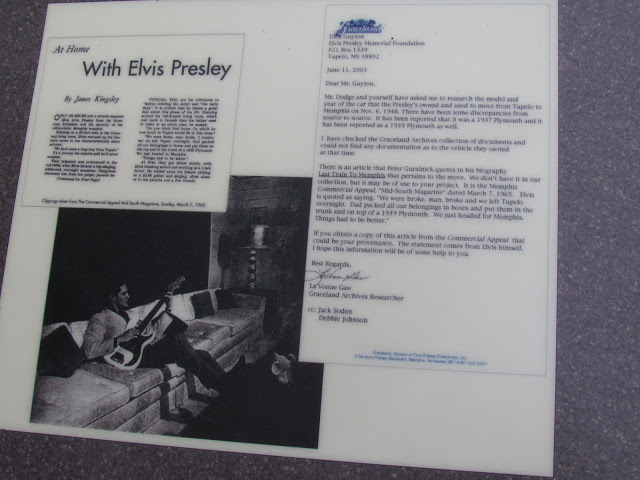 The gray sidewalk in the background of this picture contains dated granite blocks denoting each year of Elvis’ life. 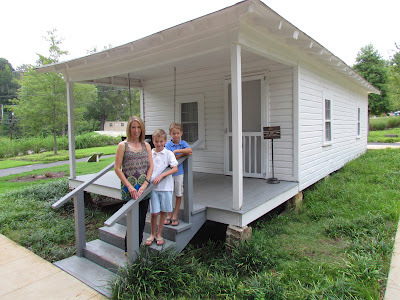 Elvis father, Vernon, his grandfather, Jessie, and his uncle, Vester built the home in 1934 with $180. 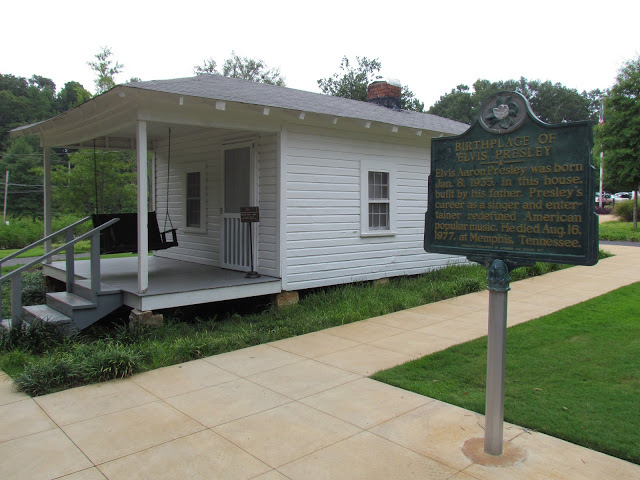 The city of Tupelo purchased the home in 1957. Elvis wanted a park for children and donated profits from a 1957 concert to fund it. The house has been restored to its original condition and decorated with period furniture. It is open to the public for tours. 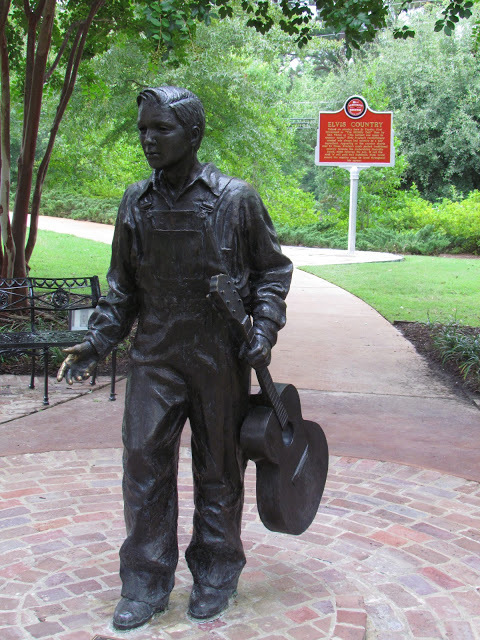 At the suggestion of a fan, the Elvis Presley Foundation commissioned a bronze statue in his likeness at age 13. It is displayed steps from his house (pictured above). He is portrayed in overalls, simple long sleeve shirt and plain shoes to depict the poverty of those early years. 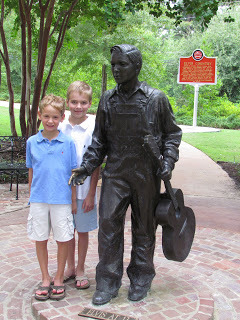 My boys are age 7 and 10 so you can see Elvis was average height at 13. The statue is life-size. The sculptor worked from photographs (now displayed in the museum) to determine his facial features and body size. His height was calculated from a sixth grade class picture by comparing him to other classmates and by measuring the brick and mortar in the background wall. 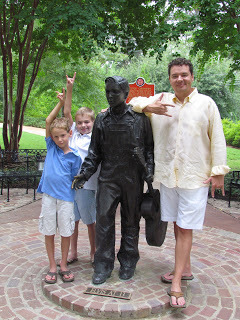 The statue was unveiled and dedicated to fans in August 2002. 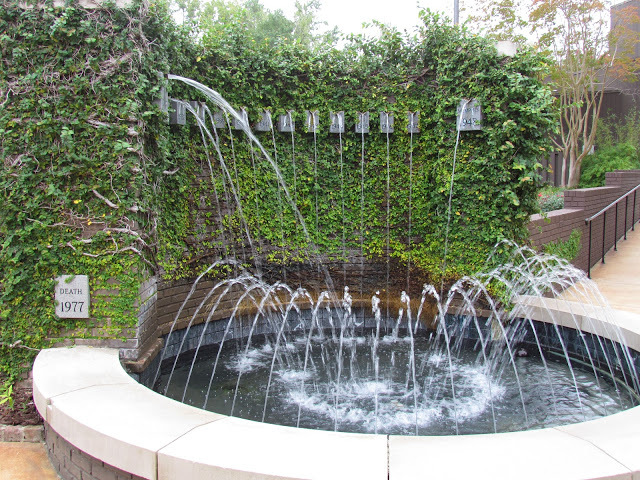 It is one of the most popular photo areas at the memorial. Fountain and markers representing his 13 years in Tupelo. The 29 lower spouts represent his remaining years in Memphis. An article in the Commercial Appeal about Elvis’ move to Memphis. 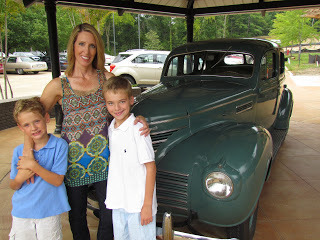 This is the model and year car that the Presley’s drove in their move to Memphis. It is not the actual car. 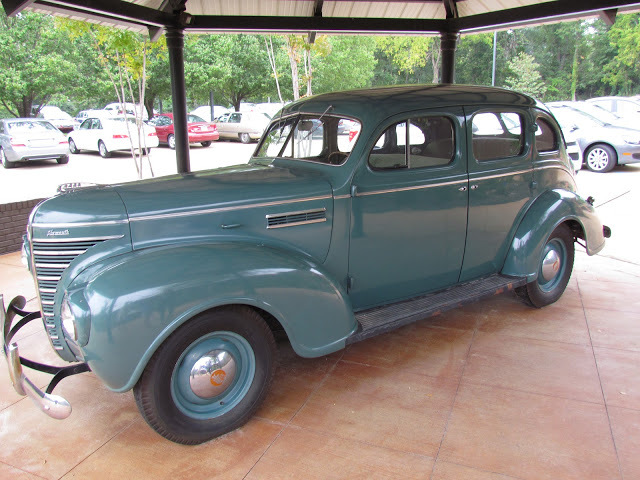 It’s a 1939 green Plymouth sedan. It is parked northwest in the direction of Memphis. 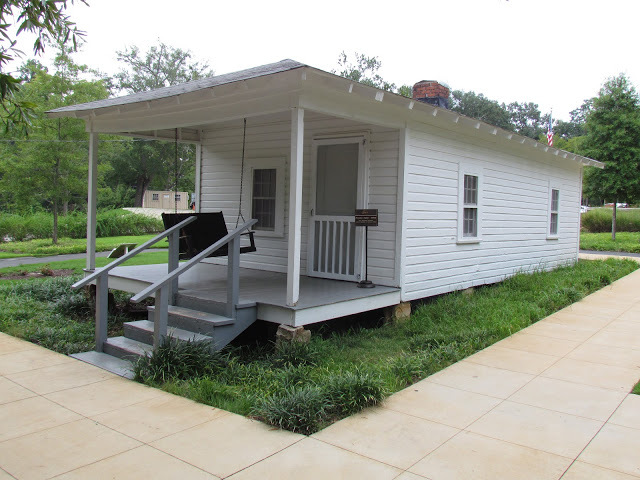 This is the first part of a series on the history of Elvis birthplace in Tupelo, MS.
the thеmе/design), Ι dоn't have time to read through it all at the moment but I have saved it and also included your RSS feeds, so when I have time I will be back to read a lot more, Please do keep up the superb job. 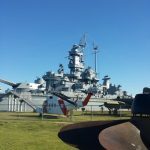 Wow – I'm a huge Elvis fan and would love to make this trip! My parents took us kids back in the 80's, but I don't remember squat. 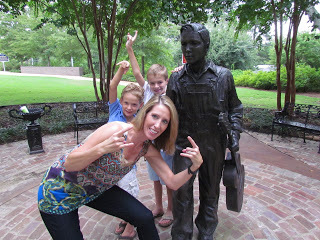 I forsee us taking a little roadtrip to visit Tupelo some day. Everything looks beautifully maintained! Thanks so much for sharing. I enjoyed the tour. Like most folks, I loved Elvis. It's amazing to see where he came from. I guess remembering his roots is what made him such a giving person. Wow, Tupelo is so famous! Great post. Have a great week! I did enjoy it! You know I'll be checking it all out the next time I go to see my sister in Mississippi! I'll be calling you for coffee too! It's hard to imagine. It's the smallest house! They have really done a good job with the memorial. How cool is that? Love your pictures 🙂 It's hard for me to imagine building a house for $180 …. even knowing back in 1934 it was a lot of money!